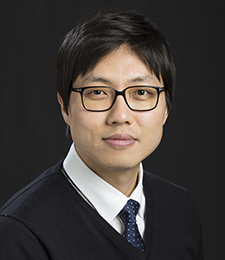 Dr. Wonchan Choi has been appointed assistant professor in the School of Information Studies (SOIS) at the University of Wisconsin-Milwaukee (UWM) and will take up his new position in Fall 2018. Dr. Choi has been a Visiting Assistant Professor at SOIS since 2017 teaching in the Information Science and Technology (IST) program. He received his Ph.D. in Information Studies from Florida State University. Before joining UWM, he was a Postdoctoral Fellow in the Robert A. Foisie School of Business at Worcester Polytechnic Institute in Massachusetts.